Check out these common questions about ASGA. What is the American Student Government Association? 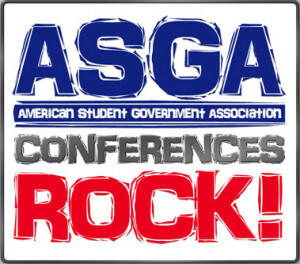 ASGA is the nation’s professional association serving and supporting collegiate Student Government leaders and advisors. ASGA offers Web resources, SG research, training conferences, and private consulting to its members and non-members. Why should we join ASGA? ASGA will help your SG grow and improve. Even if you’re a super-leader and your SG is great, it always can be better. Not all of your members are super-excited about serving, come to all of the meetings, or perform their duties perfectly. Not all of your students vote in Student Government elections. Not all of your administrators, faculty, and staff respect and appreciate your Student Government. ASGA has the resources to help you get better participation out of all of your members, advisors, administrators, faculty, and staff. You also can learn about new and innovative programs and services that SGs nationwide are implementing to serve their constituents. You can communicate with your peers nationwide by searching the SG Database which lists every Student Government in America, whether they’re members or not. Because ASGA is the nation’s premier advocate for strong Student Governments at all types of institutions, your involvement supports that cause. Plus, there are no other organizations specifically serving the needs of Student Government leaders nationwide. You will benefit from the expertise and knowledge of SG experts and your fellow members. Simply put, your membership supports the very notion of SGs being critical, indispensable parts of any college campus. The editors of Student Leader identified the need for this organization in the fall of 2002 and began concerted work on developing the organization in the spring of 2003. What is the history of ASGA? ASGA was founded in the spring of 2004 when the editors of Student Leader magazine, a national publication for campus leaders, determined that there was a need for an organization devoted exclusively to Student Governments and providing them with networking, research, and training resources. The first inklings of this organization came up during a vibrant discussion between members of the Student Leader e-mail list in the fall of 2001. The list members were debating the need for another national student lobbying organization, and one of the students proposed a National Student Government Association of America (NSGAA). While this idea generated a great deal of interest and was heavily debated by list members, that organization never got past the discussion phase and ultimately failed in the planning stages. Through a survey promoted in Student Leader and Florida Leader magazines, the editors gathered feedback from more than 225 Student Government leaders and advisors, which helped shape the direction the organization would eventually take. This direct feedback from potential members helped the ASGA team determine which services and resources would be most useful to members. ASGA’s 100 founding members also offered constructive criticism throughout the beta-testing of the ASGA Web site, prior to ASGA’s official launch on March 17, 2004. On March 9, 2005, ASGA sponsored its first SG training conference in Philadelphia, Pennsylvania on the campus of Villanova University. Who are the Founding Members of ASGA? They’re nearly 100 Student Governments from all types and sizes of institutions nationwide. These SGs and their leaders had the vision, passion, and commitment to help the ASGA team create this incredible organization. They saw the ASGA vision. Most of the Founding Members participated in the original ASGA survey when we were in the planning stages of this organization. The Founding Members gave input on what services they would like ASGA to provide. The ASGA team will always be thankful for the Founding Members, and appreciative of their vision! What is the spoken abbreviation of ASGA? Why is there a need for ASGA? There is no other organization that advocates the critical importance of an effective and influential Student Government at every higher education institution in America. There is no other group that exclusively focuses on meeting the unique needs of Student Government officers, members, leaders, and advisors at all types of institutions nationwide. There is no other group that conducts SG-related research and makes this information available to students and advisors. Because there is an annual turnover among officers, members, and frequently among advisors, so there’s a constant need for information, research, and networking resources. Can my school join ASGA? Who's eligible to be a member? Any college, university, or high school is eligible to join ASGA. Student Governments from institutions not based in the United States may join as well. You may join even if your institution doesn’t currently have a Student Government organization. Can I join ASGA individually? Yes. If your school’s Student Government, for whatever reason, is not an ASGA member or chooses to not join, you individually can join. Membership dues are $199 per year, and this will give you the same access that you would have as a member of an institution’s Student Government. ASGA is for Student Governments, their officers and members, and their advisors. Individuals will benefit, but our goal is to help train and create more effective, efficient, influential, and ethical Student Governments nationwide. How many ASGA members are there? You can always see the number of member institutions under the logo at the top of every page at the ASGA site. The number of ASGA members changes almost daily as ASGA grows. What does it cost to join ASGA? Membership dues are structured to allow any size or type of institution to join and benefit. Fees are structured based on size of full-time enrollment (FTE), ranging from $397 for the smallest institutions to $1097 for the largest colleges and universities. So even the smallest institutions can afford to be involved in ASGA. With your ASGA membership, all of your members, advisors, and administrators have access to all of the resources at any time from anywhere. ASGA’s membership dues actually cost just a few dollars a day at most. ASGA membership costs about $1 a day for most institutions. Is my school too small to benefit from ASGA? Absolutely not. ASGA has members ranging from a few hundred students to 100,000 students. The whole point of ASGA is to provide you with networking, information, and research tools so that you can FIND other similiar schools nationwide. With nearly 5,000 higher-education institutions nationwide in ASGA’s database, you’ll find other institutions of your same or similar size and situation. Even if you have just a few hundred students, your officers and advisor will still have the same member privileges as the school with 100,000 students. There are other national organizations. Why should I join ASGA? Yes, there are a handful of other national organizations that serve college and university students. However, none of the other organizations specifically serves Student Government leaders and advisors, addresses their unique needs and issues, and champions the importance and indeed critical need for vibrant, effective, and influential Student Governments at every higher-education institution in America. ASGA is your number-one champion of the vital importance of Student Governments. No other organization does this as its core mission and goal. Why should our advisor support our membership in ASGA? ASGA is setting national standards for the proper role, duties, and expectations of Student Governments. ASGA has been setting national standards for Student Government operations. ASGA’s work in this area will directly benefit your advisor, giving him/her clear guidelines and expectations about the role of an advisor and the role of a Student Government. Having this information will make his/her job in advising your organization easier and more defined. ASGA maintains a comprehensive Advisors resource. This includes advisor articles, links, documents, the only advisor-related bibliography in the nation, and more. ASGA gathers a tremendous amount of data on advisors nationwide, which is part of the massive SG Database. Your advisor can search for other advisors with similar experience, educational backgrounds, genders, races, compensation, workloads with SG, and more. The “Advisors” section of the SG Database is completely searchable at any time by your advisor. ASGA’s existence supports the importance of Student Governments nationwide. It’s clear that a strong, effective, and influential Student Government ALWAYS indicates that there is a strong student affairs component at that institution. An effective Student Government means that there is good student involvement on campus, which means that there is better retention of students. When SG is strong, it’s easier for your admissions office to recruit students. And SG leaders usually love their institutions and become involved alums after graduating. How do you really know what Student Governments need? Our executives served as Student Government leaders while in college and published magazines, books, and Web sites for campus leaders since 1983. For more than three decades, our specialty has been Student Government articles, trends, news, and research. ASGA leaders speak, consult, teach, and lead workshops at all of the nation’s major SG-related conferences and conventions, including 10 ASGA conferences. Additionally, the ASGA team published the national “bible” for Student Governments, Student Leader for 12 years, and the statewide education magazine Florida Leader for 23 years. The ASGA team produced Web sites related to student leadership since the beginning of the web in the mid 1990s. Are there officer positions in ASGA for students? No. ASGA is not a democratically elected association. Instead, ASGA is a one-stop resource for everything about Student Government. You go to ASGA when you need information, need to contact other schools that are dealing with the same problems or situations as you are, and when you need advice about a particularly difficult situation or problem, or when you need cutting-edge research about Student Government issues and trends nationwide. ASGA members can serve on the ASGA Advisory Council. This is a group of super-excited ASGA members who help the organization in recruiting and give regular feedback and advice. If you’re interested in serving on the Advisory Council, call 877-275-2742 or write butch@asgaonline.com. Does our ASGA membership automatically renew each year? Yes. To ensure uninterrupted service, your membership will automatically renew on your annual start date. You may only cancel via phone and must call ASGA at 877-275-2742, ext 113. Is ASGA open to members other than student leaders? Yes. But ASGA is designed to be most helpful to student leaders and their advisors. Most of the members are Student Government leaders and their advisors. But administrators, businesses, and even high school Student Council leaders also are members. Groups, organizations, and companies are part of ASGA through Associate Memberships and Sponsorships. Why isn't ASGA a non-profit organization? Having a pure educational mission is not reserved only for non-profit organizations. Our leadership team has, since 1983, focused on a core mission of teaching Student Government leaders to become more effective and influential. We’ve never wavered from that or compromised our focus because of financial pressures, rewards, or issues. “For-profit” companies such as ASGA, can and do operate ethically, serve their constituents well, and stay true to their purpose and mission statements. The proof of an organization or company’s “motives” is what it produces and what it does over time — not what it says. Since 1983, the founders produced well-respected magazines such as Student Leader and Florida Leader, and sponsored several respected and prestigious awards and scholarships such as the Florida College Student of the Year Awards and the Best of Florida Schools Awards for more than 25 years, consistently and without wavering from our core mission. Whether we’re non-profit from a legal perspective is irrelevant. ASGA’s motives should be judged by its actions and its founders’ long and respected history of service to the higher-education community nationwide. We're a great SG already. Why would we need ASGA? Even the best Student Governments in America can improve. No one is perfect. Even if you’re one of the nation’s few “Super SGs,” you can enhance your services and resources, improve voter turnout, make sure that all of your officers and members are excited about serving and are knowledgeable and equipped to do their jobs, and can share your expertise with the rest of the nation. Can you have higher voter turnout? Could you recruit more students to run for office? Do you have representation on all campus committees? Do you have a vote on the board of trustees? Do administrators come to you to solicit your opinion before they make major decisions? Does every student on campus respect and admire what your SG does? If you think you’re one of the best Student Governments in America, take ASGA’s SG Effectiveness Test and Test Your Administrators. Please answer all of the questions with total candor and honesty. You must be an ASGA Member, and be logged in to asgaonline.com, to access the Tests and their related information. If your goal is to truly represent your constituents, you should continue honing and enhancing your organization and its influence and effectiveness. By taking advantage of ASGA’s wealth of information and resources, you will be better equipped than ever before to make these improvements. If you’re truly one of the nation’s “elite” Student Governments, you also have a responsibility to be a teacher and share your expertise with the thousands of other Student Governments that are struggling, evolving, growing, and trying to improve. You could lead workshops at our conferences to help other SGs. How does ASGA address diversity? Student Leader magazine, the official publication of the American Student Government Association (ASGA), was a national leader in addressing diversity issues. In fact, since 1993, both Student Leader and sister-publication Florida Leader published many articles about how to make sure all students are represented by your SG, from increasing the recruitment and retention of people of traditionally marginalized backgrounds to providing broad educational services for campuses that help bring awareness to local and national issues. If you type the word “diversity” into the search engine at the ASGA online article library, you’ll find dozens of articles on this topic, and the ASGA links library guides members to organizations, lobby groups, speakers, and events which cater to this area as well. ASGA also has a diverse board and “Ask the Experts Panel” who help students, administrators, and advisors improve SGs in hundreds of ways. Having a staff of experts with different experiences, viewpoints, and backgrounds helps us to better serve our ASGA members, who come from a wide array of backgrounds and experiences themselves. 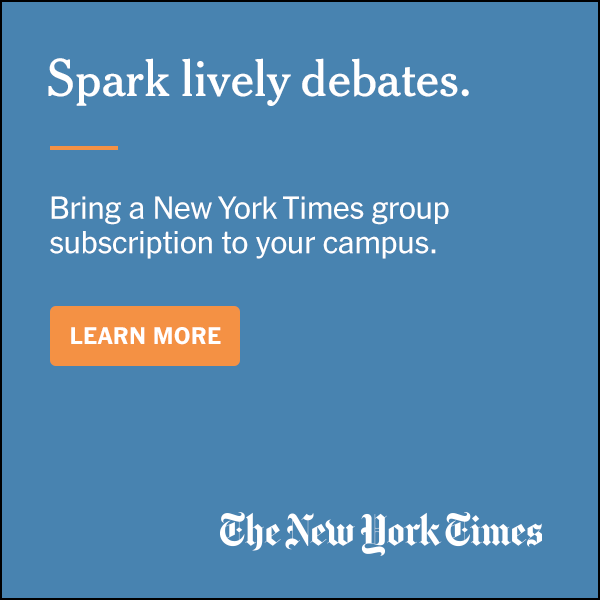 Can campus media have access to the site? Can they become members? Members of the campus press can become ASGA Associate Members, just like any related company or organization. They then will have complete access to the same member information and resources that any SG member has. However, access to ASGA resources and information will be limited for members of the campus press who are not currently ASGA members. On a case-by-case basis, ASGA may allow temporary access to specific ASGA resources and services to help reporters and editors complete research for Student Government-related articles and assignments. When ASGA releases new SG-related research, we offer temporary access to that specific research to campus media nationwide. What is the difference between ASGA and Student Leader? Student Leader was the official magazine of ASGA. It was published from 1993 until 2005. It was a print magazine that also has its own Web site, www.studentleader.com. Student Leader covered Student Government issues, but also was read by all types of campus leaders nationwide, everyone from residence life leaders to Greek leaders to community service leaders. All of Student Leader‘s past articles and research are available to ASGA members. ASGA is the nation’s professional association serving and supporting collegiate Student Government leaders and their advisors. Is ASGA a democratic organization? ASGA is a membership organization. Any SG at any college, university, or high school is eligible to join. Being a member gives you immediate access to all of ASGA’s knowledge, information, contacts, and resources. The leaders of ASGA, however, are not democratically elected. ASGA’s leaders are full-time professionals. ASGA does have an “Advisory Council” made up of super-excited members who want to contribute and offer feedback about how to make the organization more useful to fellow members. ASGA also has a panel of some of the nation’s greatest Student Government experts. These experts provide their services and help our members with specific questions. ASGA’s conference presenters are also experts on Student Government issues and problems. Is ASGA officially affiliated with any other student or education-oriented organization? No. ASGA is not affiliated with any other organization. With that said, ASGA does have loose alliances with other related organizations such as Lead Everywhere, and the American Student Association for Community Colleges (ASACC). Here are answers to some common questions about ASGA membership dues. Can administrators be ASGA members without the SG joining? Yes. ASGA allows individual students and administrators to join even if the main Student Government at a particular school chooses to decline membership, for whatever reason. ASGA offers lower membership dues for those administrators and student leaders who still want to be involved with ASGA. Please see Membership Dues for complete details on the dues structure. Can we join now and pay at the end of the year? But our mission is to serve Student Governments and we don’t wish financial issues to be a road block or impediment for your institution and your Student Government to be involved. For several ASGA members, we have agreed to delay the payment of membership dues until the end of the year, and for some other members, we’ve allowed them to pay in installments, to meet their budget restrictions. If your SG desires to be involved in ASGA, our team will make sure that the financial aspect doesn’t prevent you from joining and benefitting from our comprehensive resources. Can we pay our dues by credit card? Yes, you can pay for your membership dues by credit card. Please call toll-free 1-877 ASK ASGA (1-877-275-2742) and our team will help you process your membership dues payment. Can we pay part of our dues now and the rest next year? Yes. The ASGA team is committed to making sure that any Student Government can be involved with our organization and benefit from our resources without regard to their financial situation. We allow some schools to pay part of their dues now and the rest at a later date. ASGA wants every Student Government in America to be able to join ASGA and reap the benefits and use the resources. We don’t want budget limitations or financial issues to be a sole obstacle or impediment to your organization joining ASGA. Do you have a membership dues plan based on the size of our SG budget? No. ASGA’s membership dues are based on the size of your full-time enrollment (FTE) at your specific campus of your institution. Your dues are based on the number of full-time students that your organization represents on your campus. If you don’t represent graduate students, for example, then you don’t count them as part of your FTE. Does our SG have to pay the bill or can administrators? No, your Student Government does not have to pay the membership dues bill for you to be an ASGA member. Your administrators can pay your dues for you. About half of the ASGA member institutions have administrators pay the membership dues. ASGA encourages students and administrators to share the membership dues equally, since ASGA can serve both students and administrators equally. How are the membership dues determined? ASGA’s membership dues are enrollment-based, not budget-based. Your ASGA membership dues are based on the number of full-time students attending your institution’s specific campus. ASGA dues are based on the number of full-time students that your organization represents. If your institution has multiple campuses, each campus’ SG is eligible for ASGA membership and dues will be assessed based on that specific campus’ full-time enrollment (FTE) represented by the SG. If we join for two years are we obligated for two more? No, you are not. It is ASGA’s hope that you and your officers and advisors will find our resources so useful that you’ll want to continue your membership. You are not required to continue your membership past the original two-year commitment. But you do need to notify us in advance of your renewal date and complete a member cancellation survey. Once we join, do we have to renew from now on? No, you don’t. You can choose to continue your membership at the end of each year. Your successors in two years may decide to not continue as a member, but the next year the new officers may decide to become members again. If you join now, that doesn’t obligate your successors to continue membership past the current year. You must notify ASGA if you decide to cancel, however. ASGA membership automatically renews to ensure uninterrupted service, so you must notify ASGA of intent to cancel by calling 877-275-2742, ext 113. Our budget is so small or tight that there's no way we can join ASGA-- or is there? ASGA desires for any Student Government that wishes to join to be able to do so, without regard to your financial situation and budget limitations. 1. DELAYED BILLING OPTIONS. For some members, we have allowed them to delay paying their dues until the next budget year. 2. PAY HALF NOW, HALF LATER. For other members, we have allowed them to pay half of the dues now and half at the end of the budget year. 3. SAVE BY JOINING FOR TWO OR THREE YEARS. If you join for two or three years, you’ll save 10 to 15 percent on your annual dues, which could save you hundreds of dollars alone. 4. GET ADMINISTRATORS TO FUND PART OR ALL OF YOUR DUES. We also encourage you to seek financial involvement from your institution’s administrators, such as your Vice President for Student Affairs or even your college President. 5. APPLY FOR AN ASGA SCHOLARSHIP. If your Student Government and your officers and advisor want to be part of ASGA, please contact us and our team will work diligently to help you make this happen. Don’t give up on joining ASGA just because of financial limitations or budget cuts! What do the membership dues include? Once you’re an ASGA member, you get access to all membership resources, the ASGA Web site, the Ask the Experts section, complimentary consulting, research services, discounts on 10 ASGA training conferences, speakers, publications, the SG database, the SG article library, hundreds of SG-related links, lobbying advice, and much more. You and your SG and your fellow officers and members will get your own usernames and passwords which you can use to access ASGA services anytime. What if we join and then decide ASGA is not for us after all? Becoming an ASGA member institution is not like making a purchase at WalMart. Once you join ASGA, there are no refunds and no guarantees. It takes ASGA’s staff members more than an hour, and sometimes several hours, to convert your institution to member status. We strongly encourage and urge you to spend quality time during your visit to ASGA’s Web site, taking time to thoroughly review the services with your team and your advisor. Get ASGA to give you a guided tour by phone. If you and your team take advantage of our wealth of resources and services, you will benefit and your investment in ASGA membership will pay off. If you have any questions about ASGA’s resources, we will gladly answer at info@asgaonline.com or toll-free 1 877 ASK ASGA (1-877-275-2742). When do we have to pay our membership dues? It is customary to pay your dues within 30 days of officially joining. ASGA allows members to pay by credit card or purchase order, and we can bill you as well. Our team also is receptive to allowing you to pay your dues in installments, to help you meet budget constraints. We don’t want financial limitations to stop you from joining ASGA if you’re excited about being a member. Our team promises to do everything we can to help you become an ASGA member by being flexible on the payment part of your membership dues. Why are the dues so high for schools with large enrollments, even though we have a small budget? ASGA’s membership dues are based on your institution’s full-time enrollment (FTE) without regard to your Student Government’s budget. Student Governments’ budgets are not considered in ASGA’s membership dues structure. ASGA considered a membership dues structure based on SG budgets, but through research determined that confirming the actual SG budget would frequently be problematic. Many SGs claim to have a certain budget, but most of that is allocated to campus groups and pays for other student services. Their actual operating budget to run SG is actually far less than this amount. So which budget should be considered when membership dues are considered? The million-dollar budget or the $10,000 budget? Our research concluded that smaller enrollment institutions almost always have smaller SG budgets. So ASGA’s dues structure, we believe, is the most fair possible. Why are your membership dues so high? ASGA’s membership dues are actually comparable to other national organizations such as the National Association for Campus Activities, and are far lower than the United States Student Association. For the smallest institutions, our dues are just $397 a year, which is less than one dollar a day for your entire SG to benefit throughout the year. You can’t even send one person to a weekend conference for that. For the largest institutions, our dues are just $1097. The dues work out to pennies per day. If you’re comparing ASGA with other organizations, please don’t. No other organizations exclusively focuses on helping Student Governments improve. ASGA is a resource all of your SG members and advisors can call upon for help and support at any time throughout your membership. It is a resource that is available to you at any time from anywhere, as long as you have internet access. ASGA’s dues are based on your institution’s full-time enrollment (FTE) at your specific campus. Furthermore, your dues are based on the number of full-time students you represent on your campus. If you don’t represent graduate students, you won’t be “charged” for those students. Any organization has fixed costs that it must recoup– and that is exactly how it is for ASGA. Our team must cover our expenses, taxes, salaries, web-development and maintenance costs, and dozens of other costs associated with producing this awesome resource. Our team has invested literally thousands and thousands of hours of research to maintain ASGA’s vast databases. Producing something excellent is not inexpensive– ASGA is the best in the world at what we do, and frankly, it costs money to be the best. Your institution charges tuition. Your professors don’t work for free. Tuition funds the operation of your institution, and membership dues are like tuition when you belong to ASGA. Membership dues are how we fund our operations. Why do some schools get two years for the price of one? The only institutions that receive two-for-one memberships are the 100 original ASGA Founding Members. These institutions joined ASGA before there was an organization to join. They indicated interest in the ASGA vision long before there actually was an organization. They had the courage to be part of something based on vision alone. It is for that reason that they’ve been rewarded by ASGA with two years of membership for the price of one year permanently as a gesture of thanks for their courage and commitment to ASGA. Why don't you just have one set fee for all potential ASGA members? ASGA wants all institutions to be able to be members of our organization, no matter the size of their enrollment or budget. Based on our expertise and knowledge of how other organizations structure their membership dues, we feel having the dues based on full-time enrollment (FTE) is the most fair dues structure. This allows small enrollment schools to participate as they have to contribute a smaller amount in dues, while the large enrollment institutions pay higher dues. No system is perfect, and we acknowledge that some institutions will be penalized based on this structure. But it is our opinion that an enrollment-based dues structure is the best model available. Here are answers to some common questions about ASGA memberships. What do we get when we join ASGA? Please see Visitors. This entire section of the ASGA web site answers this question. So why should we join? The biggest benefit to your SGA to be a member of ASGA is simple: access to the massive “SG Database.” Imagine being able to find other Student Governments with similar budgets, numbers of members, problems, successes, accomplishments, and more. You can see other constitutions, bylaws, budgets, publicity ideas, funding and budget structures, major accomplishments, signature problems, strengths and weaknesses. ASGA members share ideas, learn from each other, network, get solutions to problems, clever ideas, you name it– whether they’re in Louisiana or Maine or Michigan or California. The beauty of ASGA is that our members have access to information and comprehensive data on every Student Government in America, whether they’re members or not. Instead of trying to haphazardly search the web to get the information you need, you can go directly to the SG Database to get answers. Your membership also includes all of the other ASGA membership benefits, including discounts at ASGA’s 10 training conferences, complimentary consulting, research assistance, and more. Our school has several campuses. Do they all join ASGA together? Each campus is considered to be an individual member. For example, Miami-Dade College has six campuses. Each campus has its own Student Government, with its own officers and own budgets. This is why ASGA treats each campus individually. It is our goal over time to provide detailed information on each campus at each institution in America. All of the information will be included in our SG Database for other members to view and use. If you hail from a branch campus of a larger institution, your local SG can become an ASGA member. Your membership dues will be based on the number of full-time students you represent on your individual campus. Is there a limit on the number of people who can be members from one school? Is the entire SG a member? If your Student Government is an ASGA member, then all of your elected and appointed officers, senators, committee members, and volunteers will be able to access ASGA services. ASGA will ask you to select a key contact person for your SG who then will provide ASGA with a list of students and advisors who will be permitted access to ASGA resources and services. We then will provide each student and advisor an individual username and password. Some Student Governments say that all of their fellow students are SG members, but ASGA is intended to be available only to those students who currently serve in an official capacity. Is it worth it to join the American Student Government Association? It is most definitely worth it to join ASGA. Your dues will range from $397 to $1097 for your entire SGA to be members. This means you’ll have access to ASGA’s vast resources, and can get private help and support by calling, e-mailing, or live chatting with ASGA experts. You can search for information on other Student Governments nationwide. You can come at a discount to any of our 10 conferences. You can get us to help you work through issues and problems as you’re getting off the ground. The biggest thing ASGA can help you with is saving time. We can get you answers to questions without you having to do the work yourself. We can give you an outside perspective that is unbiased and based on 26 years of experience in working with Student Governments of all types and sizes. I personally am a product of a community college with about 2600 students. For an institution that size, it is definitely worth $397 for an annual membership. That $397 will pay off in many ways if you take advantage of ASGA’s resources and services. If we join, does that mean any student at our school is a member of ASGA? No. When your “Student Government” joins as an ASGA member, that means that any of your officers, senators, and members are allowed to utilize the ASGA resources and can be given their own usernames and passwords. As you know, unless a student or advisor is interested and involved in Student Government issues and concerns, they probably won’t find much use for ASGA and our resources. Once your institution becomes a member, we’ll ask you to assign one person to be our key contact. This key contact will provide ASGA with a list of all of the students who will be permitted to have access to the ASGA web site. Once we have this list, we’ll assign usernames and passwords, and will e-mail them with this information. Can we join ASGA even if we're not based in the United States? ASGA is intended to be most useful to Student Government leaders and advisors at American universities. However, Student Governments from institutions not based in the United States may join ASGA as Associate Members. If you have other questions, call toll-free 1-877-ASK ASGA (1-877-275-2742) or e-mail info@asgaonline.com.